Molecular phylogenies based on the small subunit ribosomal RNA gene (SSU or 18S ribosomal DNA (rDNA)) revealed recently the existence of a relatively large and widespread group of eukaryotes, branching at the base of the fungal tree. This group, comprising almost exclusively environmental clones, includes the endoparasitic chytrid Rozella as the unique known representative. Rozella emerged as the first fungal lineage in molecular phylogenies and as the sister group of the Microsporidia. Here we report rDNA molecular phylogenetic analyses of two endonuclear parasites of free-living naked amoebae having microsporidia-like ultrastructural features but belonging to the rozellids. 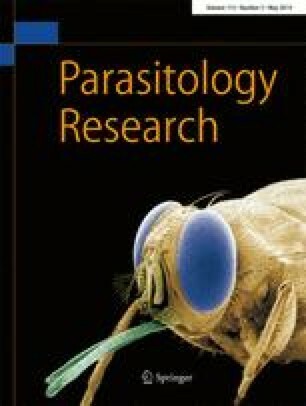 Similar to microsporidia, these endoparasites form unflagellated walled spores and grow inside the host cells as unwalled nonphagotrophic meronts. Our endonuclear parasites are microsporidia-like rozellids, for which we propose the name Paramicrosporidium, appearing to be the until now lacking morphological missing link between Fungi and Microsporidia. These features contrast with the recent description of the rozellids as an intermediate wall-less lineage of organisms between protists and true Fungi. We thus reconsider the rozellid clade as the most basal fungal lineage, naming it Rozellomycota. The online version of this article (doi: 10.1007/s00436-014-3838-4) contains supplementary material, which is available to authorized users. We thank B. Hauröder and E.N. Schmid for assistance and previous electron microscopy data. This study was supported by internal fundings of each laboratory.